What parallels with Bosnia – if any – can you draw from the situation in Ukraine ? Ukraine and Bosnia are both multinational states that until the early 1990s were members of larger multinational federations – the Soviet Union and Yugoslavia respectively. When these federations broke up, Serbia under Milosevic initially wholly rejected the sovereignty and territorial integrity of the former Yugoslav republics as successor states, and waged a genocidal assault on Croatia and Bosnia in order to redraw the territorial borders in its favour. Whereas Russia under Yeltsin adopted an initially more moderate policy and largely accepted the sovereignty and borders of the former Soviet republics, though with some attempts to undermine them – above all in Georgia and Moldova. 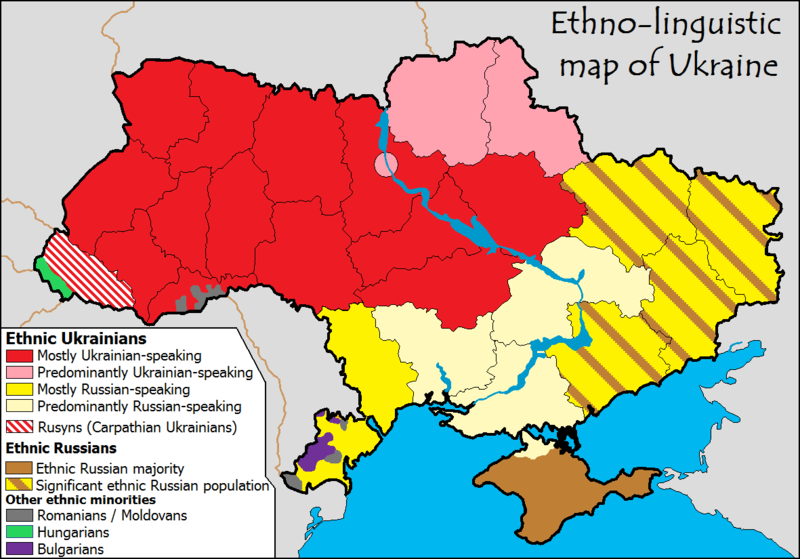 However, Putin’s policy is closer to Milosevic’s, insofar as he is openly tearing up the territorial integrity of other former Soviet republics – first Georgia, now Ukraine. Putin, like Milosevic, is head of a ‘soft dictatorship’ – meaning a regime that preserves the outward appearance of a democracy but is in reality a dictatorship. And like Milosevic, he wants to expand the borders of his state through violent, unilateral means. We do not yet know now far Putin will go; whether or not he will move from annexing the Crimea to a larger war of conquest against Ukraine that could involve bloodshed on the scale of Bosnia in the 1990s, or whether he will extend his aggression to another former Soviet republic such as Moldova. Either scenario is entirely possible. Of which international agreements over Ukraine is Russia now in breach ? Russia is in breach of the 1994 Budapest Memorandum, which it signed along with the US and the UK, whereby the three parties agreed to refrain from the use or the threat of force against Ukraine’s territorial integrity, in return for Ukraine giving up its nuclear weapons. How do you view the appearance of Chetniks in Crimea ? The presence of Chetniks in Crimea indicates the fact that extreme Serb nationalists view Russia’s confrontation with the West and with the new pro-Western regime in Ukraine as a continuation of their own national struggle against the West and against Serbia’s neighbours. It is comic, but it could also be tragic, if the Russians decide to engage in ethnic cleansing against ethnic Ukrainians and Tatars in Crimea and the Chetniks participate. Many Serbs from both sides of the Drina river support Putin’s action over Crimea? Why ? Again, hardline nationalist Serbs view Putin’s confrontation with the West and with the new pro-Ukrainian regime as a continuation of their own national struggle. Putin is constructing a ‘Greater Russia’ through the annexation of the Crimea and other foreign territories, just as Milosevic sought to construct a ‘Great Serbia’ through the annexation of territory in Bosnia and Croatia. Putin’s actions open the door to possible territorial revisions in favour of Serbia as well. More generally, Putin is admired because he represents resistance to Western liberal values that hardline Serb-nationalists hate: tolerance, pluralism, respect for human rights and for ethnic minorities and gay people. What should Sarajevo and the West do in order to prevent a Crimean scenario in Bosnia ? If, as appears to be the case, Putin succeeds in annexing the Crimea without meeting serious Western opposition, it is entirely possible that he will eventually support the secession of Republika Srpska from Bosnia-Hercegovina. The argument used by opponents of Western military action in defence of Ukraine – that Ukraine is not a NATO member, therefore NATO should not defend it – applies equally to Bosnia. If Serbia joins the EU, it will be very difficult to restrain further aggressive actions on its part against Bosnia. Just as it has proven impossible to prevent Greece’s persecution of Macedonia, because Greece is in the EU as well as in NATO. If Republika Srpska declares independence and is recognised by Russia and by an EU-member Serbia, with the collaboration of EU-member and NATO-member Croatia (seeking to support Bosnian Croat separatism) it is difficult to imagine the West taking meaningful action to defend Bosnia’s territorial integrity. There are many things the West should do to prevent this from happening. It should send troops to defend eastern Ukraine from possible Russian aggression. It should impose severe sanctions on Russia until Russia withdraws from the Crimea and recognises Ukraine’s territorial integrity. It should revise the Dayton settlement to restore a functioning Bosnian state, with a strong central authority and the powers of the entities and cantons at least greatly reduced. However, I do not believe that the West will do these things, because it lacks the will. Therefore it is vital that patriotic Bosnians (primarily Bosniaks, but also other Bosnian citizens whose primary loyalty is to Bosnia-Hercegovina rather than to Serbdom or Croatdom) begin to develop a resistance strategy to prepare themselves for a possible conflict arising from the secession of the RS supported by Serbia and Russia. If and when the RS secedes, Bosnians must be in a position to respond militarily, even if the West fails to act. And they must have clear strategic goals.